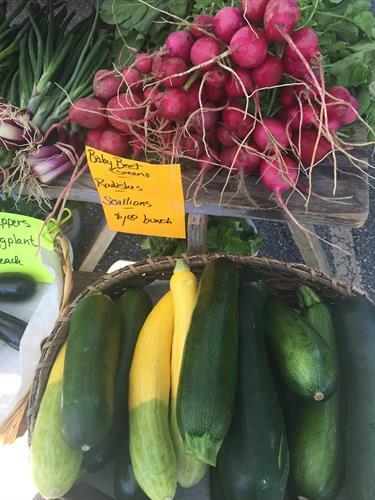 The Middlebury Farmers' Market (MFM) is a Wednesday and Saturday outdoor market that operates May through October with about 60 registered vendors in the VFW at 530 Exchange St. The Market also operates as an inside market during the winter at the same location. Nearly two-thirds of the vendors sell local agricultural products including vegetables, fruits, plants, flowers, meat and dairy items. There is also a wide variety of Vermont crafts. MFM is particularly strong in organic and conventional vegetables, organic meats and eggs, and goat's and cow's milk cheeses. Each Saturday Market also features a local musician. 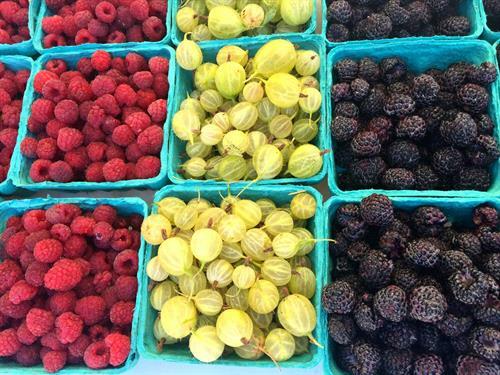 Throughout the summer, the Market hosts special events including a Grand Opening (May), Dairy Day (June), Red, White, and Blue Week (week of July 4th), Youth Vendor Day (August), the Harvest Festival (October), and the Winter Holiday Market (December) . Located in the parking lot of the VFW at 530 Exchange St.